The first La Liga match of the first week is between Leganes and Alaves on Friday (August 18). 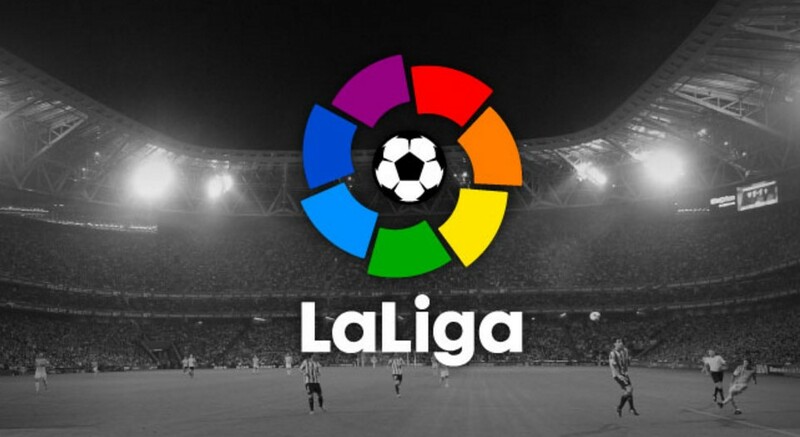 La Liga is the seasonal game of Spain it contains totally twenty teams. Real Madrid is the defending champion who will face their first match in this season against Deportivo La Coruña on coming Sunday. The first day of the tournament contains two matches, the second one is between Valencia and Las Palmas. When to compare with the first one, the second match of the day is little big. As we all knew that, even there are totally twenty teams in the La Liga. Maximum of the eyes are only focusing three major clubs. They are., Real Madrid who having 33 titles including their last season 2016-17, secondly it is Barcelona with 24 winning cups and then Atletico Madrid with just ten in their hand. All these three teams were also ruling with their runner-up cups. We can also say Athletic Bilbao, Valencia, and Real Sociedad are in the lineup of most successful team as next to the Real Madrid, Barcelona, Atletico Madrid. So, the fans are expecting the same thing which was happening every year as any one of the top teams will won the La Liga 2017-2018 session. Also, the teams of La Liga have some changes in their squad. Especially, Neymar’s exit from the Barcelona is one of big loss to the team who is signed for Paris Saint-Germain, who is the most expensive Footballer at present. Also, the Barcelona is getting week and they lost their recent matches against Real Madrid is notable in this situation. Barcelona will face their first match in this La Liga match against Real Betis on Sunday as second match of the day. It also mean that the Barca will play before the match of Real Madrid. The third highest winning team of La Liga, Atletico Madrid will play against to the Girona on the first Saturday of this season. 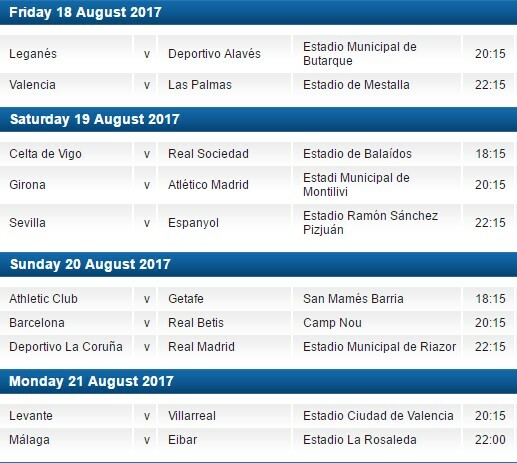 There are totally four days schedule in the opening weekend of La Liga 2017-18 fixtures. It stars from Friday night and ends on Monday night as per the first weekend fixtures.